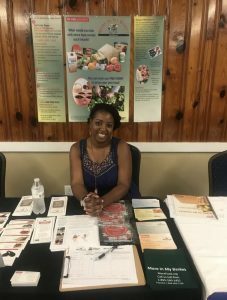 More In My Basket provides SNAP outreach in North Carolina through education about program eligibility, program benefits, and resources to stretch limited resources. Individual assistance is provided to help people apply for SNAP. The goal of this program is to increase SNAP participation through education and minimizing barriers to participation. More In My Basket at the Market provides education to introduce, instruct, and facilitate SNAP recipients interest and skill in purchasing and preparing farmers’ market produce while also acquainting them with their local farmers’ market. The goal of the program is to increase access to fresh foods, while also increasing farmer income through direct sales.